In a discussion thread from the #wweopen13 MOOC (the Facebook discussion is still active), Penny (thanks) pointed out a fun app – http://www.tagxedo.com/. It is similar to Wordl, but it puts the words into shapes. 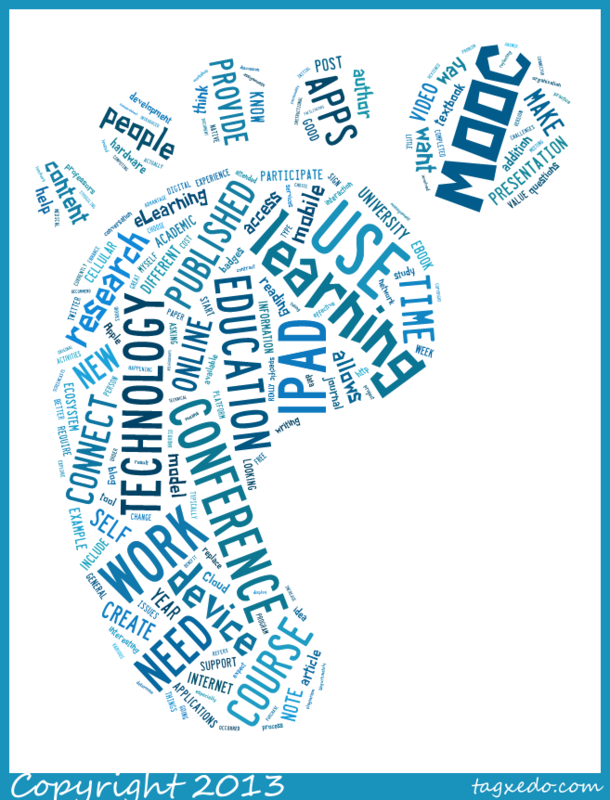 With one of the shapes being a foot, I felt I just had to take all my blog posts from 2013 and plug them in to see what my "digital footprint" for 2013 would look like.